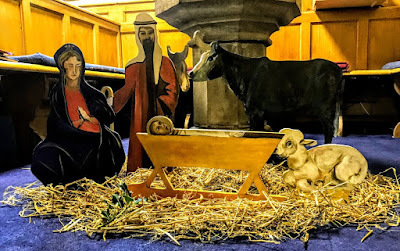 11 a.m., The Christmas Eucharist, Holy Trinity Church, Rathkeale, Co Limerick. This morning’s Gospel reading (Luke 2: 1-14, 15-20) tells the familiar story of the first Christmas. Instead of repeating that story in a long sermon, in the second part of my three-part reflection this morning, I want to read the poem ‘Christmas’ by the former Poet Laureate, the late Sir John Betjeman (1906-1984). 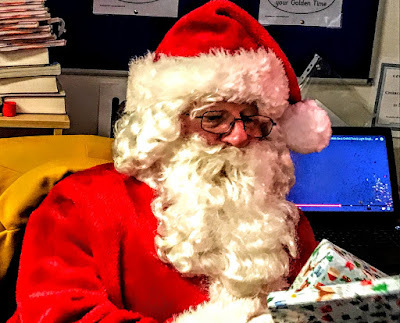 So, as we are all smile at Santa’s arrival last night, my closing short story is about why the story of Saint Nicholas has one key link to why we celebrate Christmas at all. 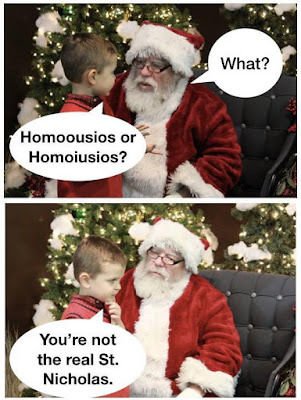 And that’s the best present of all that Santa could bring to us, in this Church of the Holy Trinity, on this Christmas morning. (Revd Canon Professor) Patrick Comerford is Priest-in-Charge, the Rathkeale and Kilnaughtin Group of Parishes. 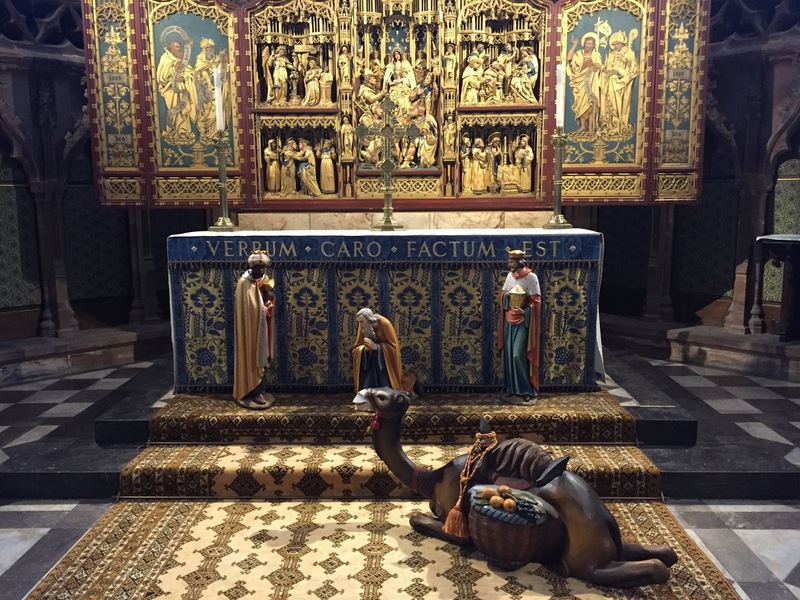 This sermon was prepared for the Christmas Day Eucharist on 25 December 2017. 9.30 a.m., The Christmas Eucharist, Saint Mary’s Church, Askeaton, Co Limerick. And that’s the best present of all that Santa could bring us on this Christmas morning. Today is Christmas Day. 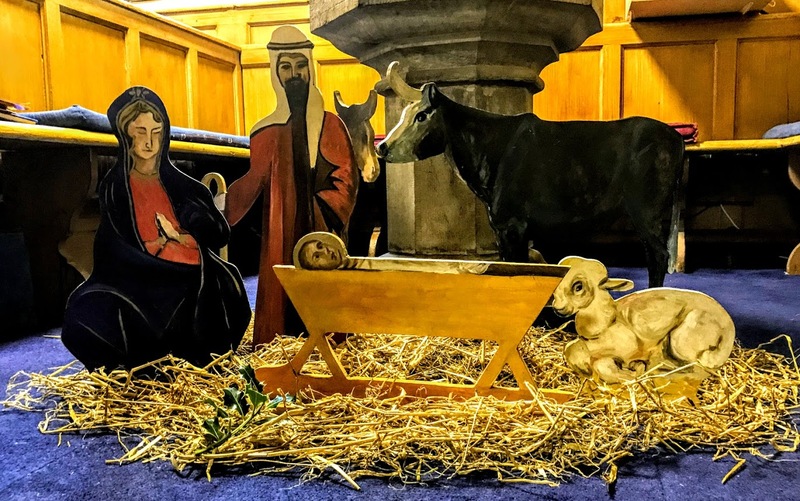 This morning I am presiding at and preaching at the Christmas Eucharist at 9.30 a.m. in Saint Mary’s Church, Askeaton, Co Limerick, and at 11 a.m. in Holy Trinity Church, Rathkeale, Co Limerick. 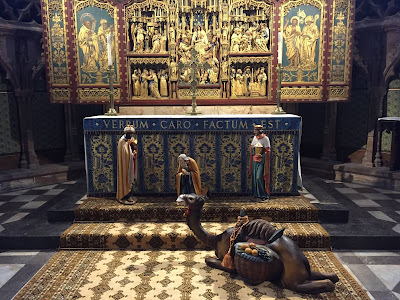 Throughout the season of Advent this year, I spent a short time of prayer and reflection each morning, using the prayer diary of the Anglican mission agency, USPG (United Society Partners in the Gospel) and the Advent and Christmas Devotional Calendar from Lichfield Cathedral. I have decided to continue with this time of reflection and prayer each morning until the end of year, New Year’s Eve [31 December 2017]. This week, the Prayer Diary visits the Holy Land, and this theme was introduced yesterday by Salwa Khoury, who is based at Saint Luke’s Hospital in Nablus on the West Bank. 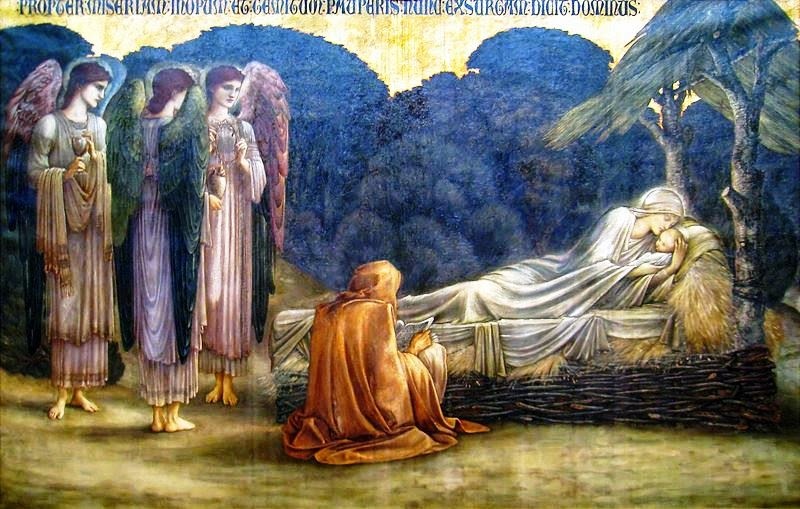 Give thanks, this day, for the birth of Jesus Christ, our Lord. May all people know healing through his love. The first candle on the Advent Wreath was the Purple Candle recalling the Patriarchs and Matriarchs, our fathers and mothers in the faith, like Abraham and Sarah, and so on. The second purple candle represents the Prophets. The third, pink candle, which we lit last Sunday, represents Saint John the Baptist. The fourth, purple candle represents the Virgin Mary. Today, the calendar suggests reading John 1: 1-25. Celebrate! Enjoy the feasting and joy of this day. Pray for a new understanding of God’s love as it reaches us in the person of Christ.